“Dolphins can communicate via echolation, while hyenas use smell-based networking sites. Even the marmoset monkeys have figured out how to have a polite conversation, something many humans still find hard to follow. This article in Nature World News fascinated me and became the genesis for this post. Just how far removed are we from the animal world in terms of intelligence and accomplishment and why? Contemplate the following. 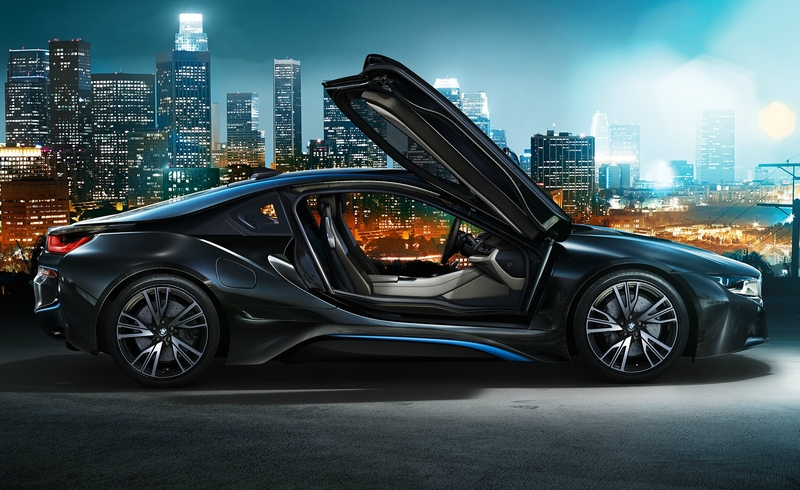 Pictured above is a BMW i8. More specifically, it is 420 lb-ft of thrilling torque in a plug-in hybrid BMW i8 which can launch from 0 to 30 mph in 3.5 seconds. It is one of the fastest BMWs off the line and it is all-electric. What to contemplate? What went into creating this car!! The raw material most used in cars is steel. Door beams, roofs and even body panels created during manufacturing this car are made of steel. Steel is also used in a variety of areas throughout the body to accommodate the engine or other parts. To make steel humans extract iron ore from the ground. They then take that iron ore and put it in a blast furnace which is fed coke and small quantities of fluxes (minerals, such as limestone, which are used to collect impurities). Air is then heated to about 1200°C and is blown into the furnace through nozzles in the lower section. The air causes the coke to burn, producing carbon monoxide which reacts with the iron ore, as well as heat to melt the iron. Finally, the tap hole at the bottom of the furnace is opened and molten iron and slag (impurities) are drained off. We now have steel to form the structure for the BMW. In this instance a motor is formed using steel and then powered by electricity. The intricacies of the motor we won’t go into however let’s contemplate the electricity needed to power this beauty. Coal is dug up and sent on trains and boats to large generating plants that mankind has built the complexity of which I will not go into. The coal is burned to heat water to make steam. Inside a generator, the steam spins a big fan called a turbine. The spinning turbine rotates a big magnet around a piece of wire & that motion creates a magnetic field that electrifies the wire. The electric current flows through the wire and is pushed out through high-voltage transformers. The electricity that is generated is then delivered to homes everywhere where the BMW owner then plugs his new car into a wall socket which charges the engine to produce mind boggling speeds. One last thing to contemplate is the Harman Kardon Surround Sound System. BMW says that the optional Harman Kardon Surround Sound System delivers a sound that’s as remarkable as the BMW driving experience. It uses vehicle-specific equalizing, and a powerful 600W amplifier to produce a powerful, high-current, ultrawide-bandwidth. Its 16 speakers include six tweeters, six mid-range speakers, two bass speakers located under the front seats, one mid-range speaker and one tweeter in the instrument panel. It all produces a sound that’s brilliant and rich. Contemplate this: Human beings create music, create the instruments to play the music on, record the music, send the music through the atmosphere from anywhere in the world to your Harman Kardon Surround system and it immediately plays it back to you with symphonic quality. Human beings created the BMW in question. They mined the iron ore, processed it, formed it into an engine which powered by electricity goes from zero to thirty in 3.5 seconds. This is not to mention the sound system, the power plants, the trains and boats, the recording studios, the creation of the plastics, the paints, the alloy wheels and many more intricacies that go into manufacturing a car. Now contemplate dolphins, hyenas and marmoset monkeys and their accomplishments. Contemplate that Science Daily reports there are about 8.7 million (give or take 1.3 million) species on Earth. Why is it only mankind that can build a BMW? With due respect to God’s other created beings there is only one specie made in the image of God, the Son and the Holy Spirit.